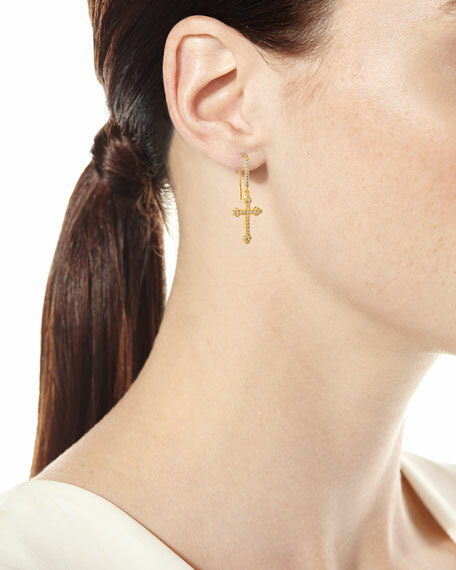 Micro crucifix drop earrings by Fallon. Polished yellow golden plated brass. 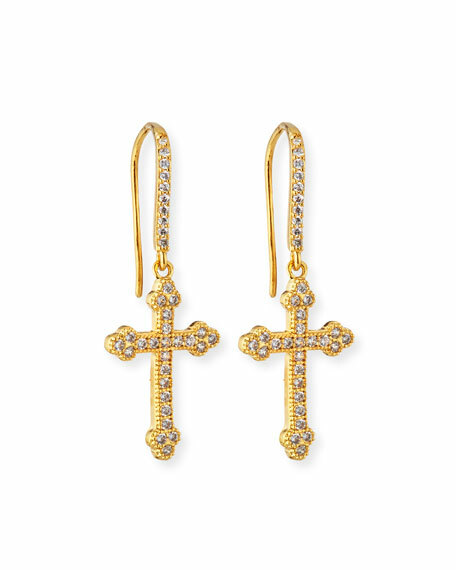 Clear cubic zirconia pavé crucifix.